Most shield nickel doubled dies have the doubling offset in a north/south direction. 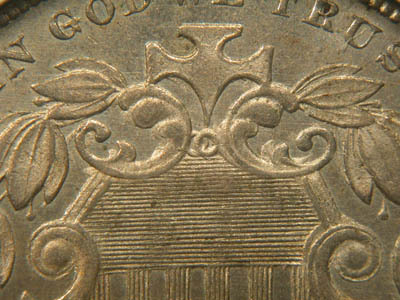 This 1874 is a monster doubled die in a highly unusual east/west direction. 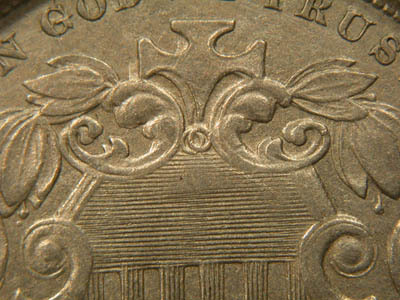 The other famous east/west doubled die in the shield nickel series is this 1873. The doubling is not quite as pronounced as on the winner.